For a group yoga class, you can find me at True North Yoga, the yoga studio I founded with locations in Schroon Lake and Keene Valley, New York. Visit the website for the complete schedule and more information about classes and our other wonderful teachers. I am also at the Adirondack Community Outreach Center in North Creek, New York, on Friday evenings for a donation-based class. Take a deep dive into embodied shamanic practices for self-discovery, self-care, intuitive guidance, and a stronger connection with the natural world in a 3-week Shamanic Flow yoga and journeying class series. Each class in the series includes a mixed-level vin/yin (vinyasa and yin or restorative) yoga practice and a guided shamanic drum journey. You will take your yoga practice to another level, building physical strength, flexibility, and balance, while increasing awareness of your subtle or energetic body to improve your intuition, creativity, and imagination. 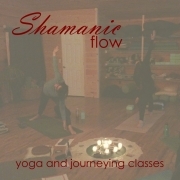 Each 3-week series has a unique shamanic focus for exploration and growth. Register for each complete series for $30. Drop-ins ($15) are welcome while the series is running, but you will get the most benefit from the 3-week experience. Connect with the Mayan Tzolk’in calendar, a tool for adding intention to your yoga practice and a guide for your daily life. Explore your connection to the Air Element through your breath and journey to connect more deeply to the elemental energies of Air. Mindfulness meditation is the practice of witnessing life as it is right now. It is a simple practice of sitting on the floor or in a chair, with your eyes open, and observing the sensations of the breath. 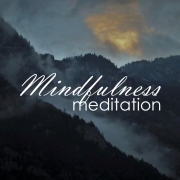 Mindfulness meditation builds strength of character, emotional stability and mental clarity. Each series offers 30 minutes of mindfulness meditation and loving kindness practice once per week. While a regular practice is recommended, and the series will support your home practice, you will get benefit even if you cannot attend all of the sessions. $5 suggested donation per session, but no one is turned away. No meditation experience is necessary. Private group instruction for gatherings and retreats is available. Please contact me for booking information.